Am I prepared for Forex? The Forex day traders are those who close their investment position at the end of each day. Most of the time they operate around small price changes lower so they have small gains and small manageable losses. Traders can join institutions or work completely on their own. Operating the market requires the trader to sit in front of the computer for long hours waiting for favorable investment conditions to make a purchase or sale of specific currency. Because traders tend to close their positions in a short period of time, every opportunity or market situation is valuable because it offers unique possibilities that somehow can be exploited. As a trader, you can not let good opportunities slip out of hand. It is important to commit to the possibility of spending extended periods of time in front of a screen or monitor, analyzing trends and fluctuations. Many beginners make the mistake of thinking that Forex trading is done only in one or two hours a day. The truth is very different; to generate profits by investing on a daily basis, high levels of concentration and perseverance for extended periods of time are a must. Also, the trader must take notice of the possibility of loss and the ever-changing flow of the Forex market. Physical and mental discomfort such as eye pain, headache or psychological stress are common (and minor) problems that every trader has to deal with to be successful. It is also required to know how the market works. You have to know how exchange rates change and how fluctuating value of each currency works. It is essential to know the theory behind the practice and to investigate in books and Internet articles. You should be aware that the Forex market involves a lot of risk because it is practically the market with the most liquidity available. 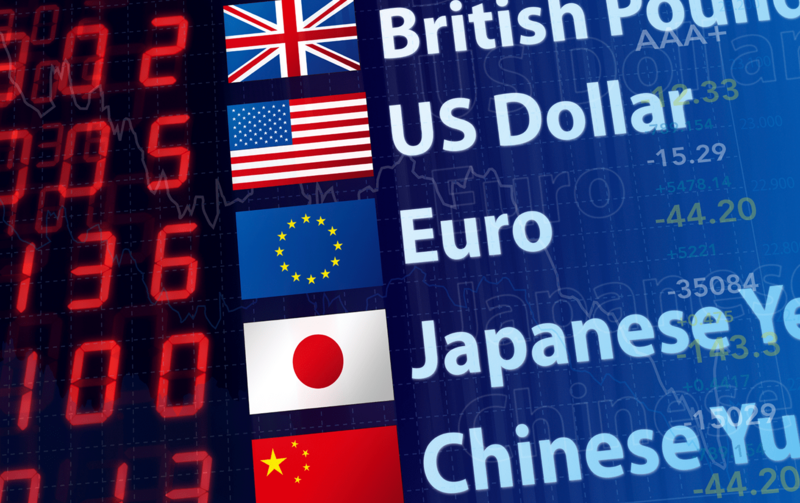 Any investment in foreign currencies should involve risks that affect only a certain amount of your planned budget. Traders should never try to invest money they are not willing to lose. Once the basics are understood, a next step would be to open a demo account with a broker to practice with using fake money. It has no risk and will provide experience for whoever wants to get started in the world currency market. Most Forex brokers or brokers usually offer free trial accounts with no cost; so you can get a lot of information and education. Most of the times customer support is offered for free and in a timely manner to help the client get involved in the market. Finally, if you consider that you have the physical, emotional and financial skills necessary to take advantage of a career in Forex trading, you can proceed to open an official real money account with any broker. There is a myriad of brokers available, so the choice is based on how comfortable you are as an investor with the broker you would like to choose. The rest consists in the need further investigation, work and learning everything you can in order to secure the road to success. The particular webtise linked at the bottom specializes in giving novice/beginner forex-traders helpful fundamental information regarding large and detailed introductions on foreign exchange, forex-trading tips, concepts, fraud warning info, trading safety info and also excellent, detailed information on the Major currencies of the world and the Central Banks that go with it. There is also an article written especially for novice traders, where a more advanced trader is writing about his experiences in forex-trading during one day. All these articles are for novices and beginners, but the very first link at the top of the list below is especially written for novices. On the home-page of the webtise, it will show the latest news on economies and forextrading and may help you while you trade. I find this site particularly helpful since im still learning too! hope this helps!